Arithmetic Sequence - A sequence made by adding the same value each time. Geometric Sequence - The same number is multiplied or divided by each element to get to the next. Explicit Formula - A formula that allows direct computation for any term in a sequence. Recursive Formula - A formula that requires computation of all previous terms to find a value. Exponential Function - A function whose value is a constant raised to the power of the variable. 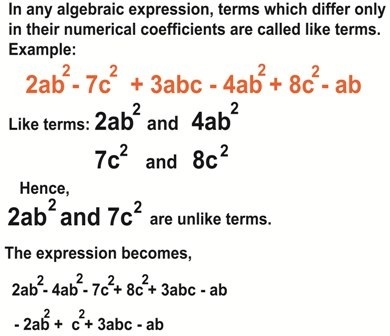 Term - A value in a sequence - the first value in a sequence is the first time, the second value is the second term, and so on; a term is also any of the monomials that make up a polynomials. Vertical Translation - For every point, y has a different value by a constant. 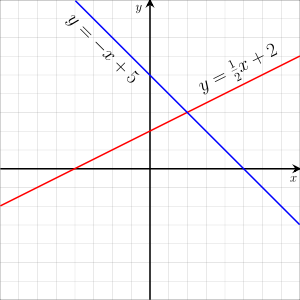 Horizontal Translation - For every point, x has a different value by a constant. 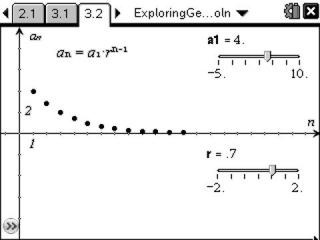 Linear Function - A function with a constant rate of change and a straight line graph. Exponential Function - A function whose value is raised to the power of the variable.